A foul-mouthed man has paid a heavy price after he was fined for racially abusing and spitting at a doorman at a nightspot. 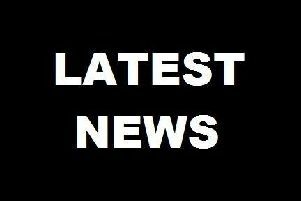 Chesterfield magistrates’ court heard on Wednesday, May 23, how Benjamin Kempston, 28, of Cobden Street, Ripley, spat at the doorman and racially abused him after he had been refused entry because of his casual clothing. Police were also informed that Kempston had spat twice at the same doorman he had racially abused, according to Mrs Hadfield, after Kempston had been refused entry because of the type of clothes he was wearing. Officers also found Kempston had 0.2grammes of cocaine, a class A drug, in a small bag. Kempston pleaded guilty to racially aggravated assault and to possessing cocaine. Defence solicitor Asif Munir said brick-layer Kempston is ashamed and embarrassed by his behaviour and he conceded he was drunk after he had been celebrating a colleague’s birthday. Mr Munir added that Kempston had found the drugs and he had not been sure what he was going to do with them. Magistrates find Kempston £738 and ordered him to pay £85 costs, a £73 victim surcharge and £100 compensation.